Toyota completely revolutionized the automotive industry when it first introduced the Prius back in 2000. The full hybrid electric mid-sized hatchback is the best selling hybrid vehicle in America, earning countless awards and accolades throughout its fifteen years. The original Toyota Prius is offered in five different trim levels, each offering a unique price point, and standard features. The current Prius model features seating for five passengers, and drivers can choose from a hatchback or standard body sedan style. For the 2015 model year, Toyota offers the best fuel efficiency for the best-selling hybrid on the planet. Toyota introduces the 2015 Prius in its newest trim level offering, the Prius Persona. At the core of all Prius models, is the unique eco monitoring system put into place, to ensure the most efficiency in any driving situation. Just as Toyota paved the way for the hybrid car market, the automaker also ended up creating the best-selling hybrid vehicle on the planet. 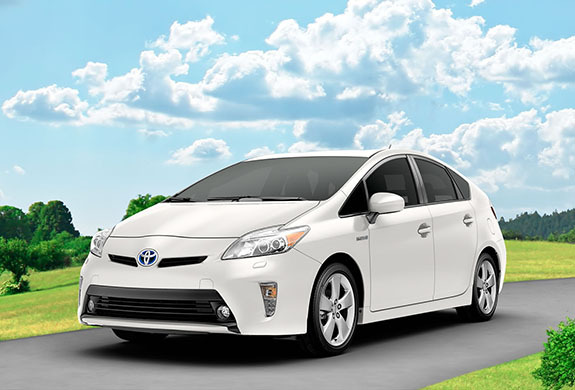 The 2015 Prius offers a high fuel economy, appealing to both commuters and families alike. The fuel economy ratings on the 2015 Prius were not given by mistake. Toyota engineers worked tirelessly to ensure the best fuel efficiency ratings on the 2015 Prius. With an EPA-estimated 51 miles per gallon in the city, and 48 on the highway, it’s safe to say their efforts were a success. Check out what went into designing one of the most fuel efficient hybrids in the world. The aerodynamic design of the Prius helps to ensure reduced wind resistance and a quieter ride. The practical design of the Prius did not work against it’s unmistakeable styling, but rather made it stand out even more. The quiet electric motor on the Prius works seamlessly with the efficient gasoline engine, automatically choosing the most efficient mode for the best fuel economy. Three driver-selectable modes are offered on top of the normal driving mode on the Prius. EV mode utilizes only the battery for power, up to one mile. The ECO mode ensures improved fuel economy by adjusting climate control and throttle input, while the POWER mode creates a more exhilarating driving experience for the thrill seekers on the road. The Prius has a coefficient drag rating of only .25, making it one of the lowest in the world. Due to it’s low Cd, the Prius is able to slice through the air, creating a more efficient driving experience. This unique Prius is taken to a new level with special edition styling on both the exterior and interior of the popular sedan. The 2015 Prius Persona takes everything that the Prius Three includes, as well as a new and distinct visual package. Seventeen-inch alloy wheels with a premium dark metallic finish immediately catch the attention of passerbyers. 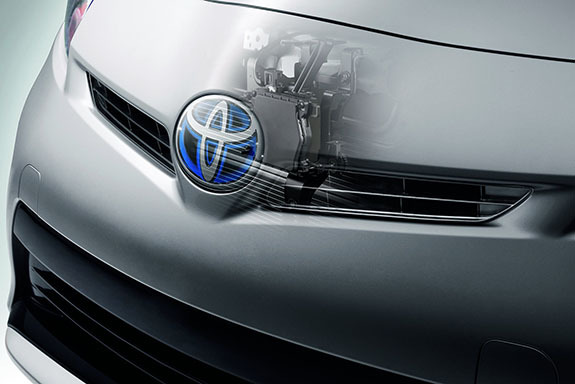 Premium heated power mirrors with turn signal indicators are most often noticed by the Prius Persona driver, making the experience behind the wheel smoother and more practical than ever before. Drivers can choose from Blizzard Pearl or Absolutely Red for the exterior of their Prius Persona, which is made complete with a “Persona Series” exterior badge on the rear of the vehicle. The black SofTex interior upholstery with gray stitching sets the Persona’s interior apart. The SofTex trimmed steering wheel with dark chrome bezel matches the dark chrome shift knob and door grips. A blue driver and front passenger illuminated foot area adds to the uniqueness of the Persona’s interior, which also allows for a more luxurious feel. Prius Persona drivers will pay a starting MSRP of only $26,985, for a unique piece of the Toyota Prius history. One of the most important aspects of driving a Prius, is the amount of energy that is saved while doing so. Saving energy, lowering fuel consumption, and reducing your carbon footprint, are all possible while driving the 2015 Toyota Prius. The designers and engineers of the 2015 Prius went to great lengths to ensure that drivers would be in-tune with their vehicle’s energy consumption, and able to adjust to make sure that energy savings were at their highest. This highly intuitive monitor alerts drivers of the engine and hybrid system’s operation in real time. Hybrid Synergy Drive works to ensure that the most efficient source of power is utilized, at every possible moment. This system takes the guess work out of driving a Prius, and allows for the highest fuel economy possible. The built-in multi-information display allows drivers to monitor the gas mileage on their Prius, offering an instant readout of current fuel economy and average historical data, over a period of time. A small in-dash screen is utilized to help drivers measure the efficiency of their 2015 Prius to any other vehicle. This easy to use, and informative technology, allows you to plug in the mileage from any other car, and the price of gas, for a detailed monthly savings breakdown. Driver’s can rest assured knowing that their 2015 Prius is getting them the very best fuel economy of almost any other car on the road.